Here's the place to show us your Wunkays! Here's one from several years ago at the original Owl Farm. All of them were 1980, I think. I still have the two on the left, but the two on the right are gone. This was the high water mark for a long time…. That CAR one played well, but had a weird orange peel in the finish. It was factory finish, too. Here are my two. The red one is an '81 slot pole and the burst is an '80 large Hex. Still missing an example from 1987, 1989 and 1991, but this is a pretty complete set from 1980-93 (excluding fretless and lefties). 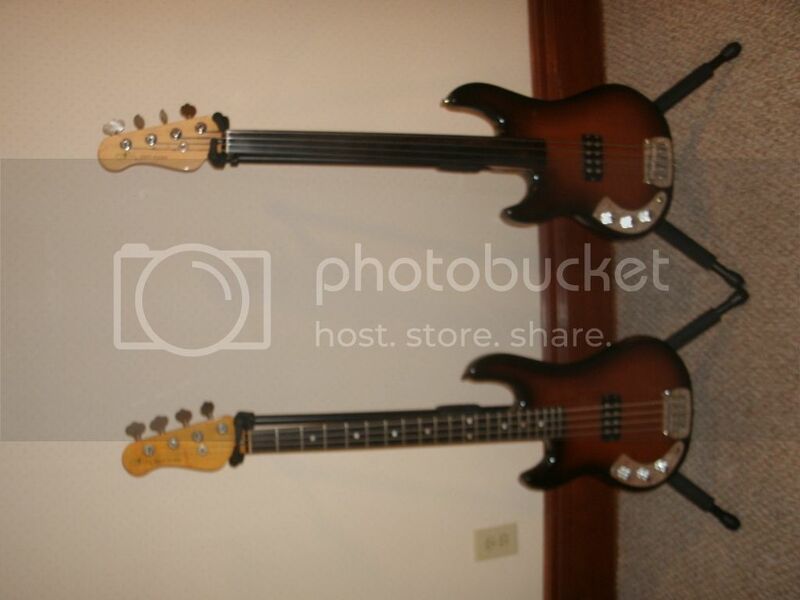 The bass in the middle is the first "reissue" G&L did back in 2008. Early wunkays are easy find, later years not so much. Now THAT is a collection! Well done! 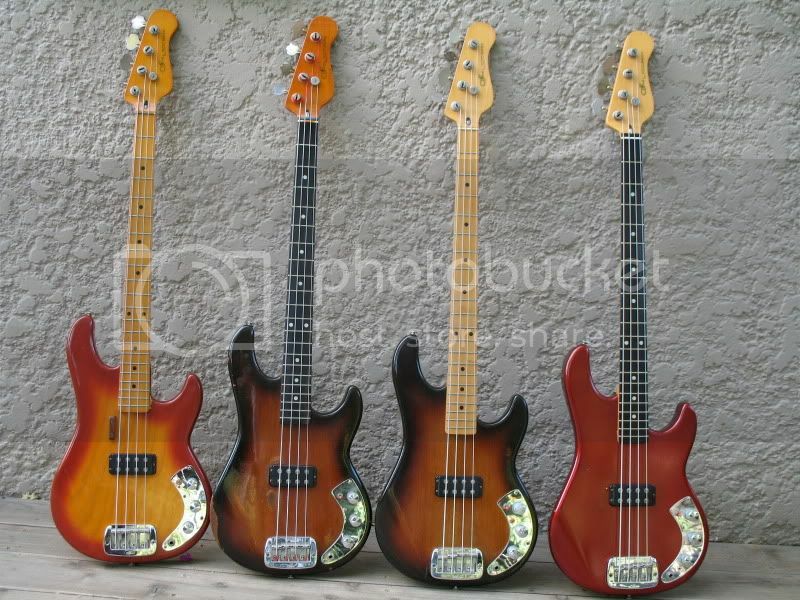 dukeplaysbass wrote: Now THAT is a collection! Well done! That's not a collection. That's an obsession!! Kinda hard to follow up that last pic, but here's my offering. The 2 natural body basses came from the Owl Farm courtesy of BABP (Duke, this was several years ago -- you may remember them). I think all three are 1980 -- highest SN of the bunch is B002xxx. Like children, they're all different and you love 'em all for their differences. The tobacco burst (at least, I think that's what that color is) was my first L-1K. Its got a mahogany body and plays like a dream. Don't gig it much, but its the one I grab for studio work. The natural/ebony weighs about as much as a small truck, but it sounds incredible. Don't play it a whole lot because of the weight, but I do love the sound -- its got tone a mile wide and thick. And its a B000xxx.